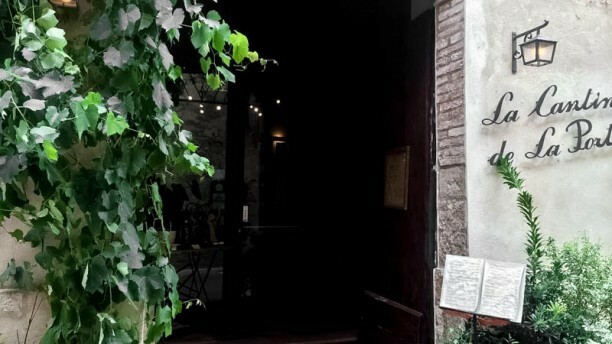 Il Ristorante Daria si trova nel grazioso borgo medievale di Monticchiello tra Pienza e Montepulciano, sulla via San Luigi che dalla porta del paese conduce alla piazza. Ad accogliervi nel Ristorante sarà Daria, la padrona di casa, che si metterà a vostra disposizione con tutta la sua esperienza e professionalità per farvi sentire a casa. In un ambiente elegante, luminoso e curato in ogni dettaglio che mantiene in sè un’anima pura e autentica, potrete scoprire i profumi dei piatti tipici della cucina Toscana e assaporare le proposte innovative del nostro chef. La filosofia del nostro ristorante ricerca un equilibrio piacevole tra la memoria dei sapori tradizionali e le nuove suggestioni gastronomiche, con un’attenzione speciale alla qualità e al territorio. La cucina di Daria rappresenta l’identità della sua terra e valorizza in modo semplice e naturale un’arte senza tempo. La qualità e il territorio sono le parole chiave anche per quello che riguarda i vini. In queste nobili terre nascono alcuni tra i vini migliori al mondo, come il Brunello di Montalcino, il Vino Nobile di Montepulciano e il Chianti. Daria, Sommelier da più di 20 anni, ha selezionato con cura ed amore le migliori etichette del territorio con qualche piacevole digressione fuori dai confini della regione. Dopo oltre 20 anni di esperienza nel mondo della ristorazione, e dopo aver gestito la storica Osteria La Porta a Monticchiello, la padrona di casa conosce perfettamente le esigenze dei suoi ospiti ed è sempre disponibile con il suo sorriso e la sua gentilezza ad accontentare le loro richieste. Il nostro obiettivo è regalare agli ospiti del Ristorante Daria un’esperienza di gusto da ricordare, un’esperienza che li faccia sentire coccolati e sedotti dai sapori, dai profumi, dall’ambiente e dalle persone che li circondano. Perfect lunch in tiny Tuscan town. Loved the food, service and atmosphere at Ristorante Daria! Warm and welcoming start with glass of Proseco. Daria and her staff personalize the service and provide the right balance of attention. The quality and presentation of the food is exceptional. We highly recommend this restaurant in every regard. One of the best meals we have had in Italy so far. Amazing fresh food and we were made to feel like family. So lovely!! Ristorante Daria was our favorite meal of the trip! We had not been before but everything was fantastic. The space is really well done and the staff (including Daria herself) really made us (including our children of 6 and 8) feel welcome. The food was, in a word, outstanding. Many of the dishes either were "typical" Tuscan cuisine or shared a similar base of ingredients with a newer spin in terms of presentation and each type were excellent. I would highly recommend the restaurant to anyone. Small portions but yummy and refined! Nice atmosphere and great food. Daria was a perfect hostess. Ravioli with truffles, spinach and ricotta excellent, same for rags and a great meat and cheese plate. Service superb and staff very friendly. Some of the best food we had during our visit to the region! Outstanding food and service in a great atmosphere. Wonderful wine list. Look forward to a return visit! We had a lovely evening and the food was delicious. Daria made us so welcome and provided a lovely cake for one of our party who had a birthday . After having read all the comments we were sure of having a good meal but it was better than expected. The service was excellent and we couldn't have asked for more. The food was even better. I would definitely recomend this restaurant even if it was a little expensive but well worth the money spent. A very good meal. Very friendly waiters. We will come back ! Really nice atmosphere and great food!! Would come back here! Really lovely restaurant. We were looked after from start to finish by very friendly staff. Lovely touches like a glass of prosecco and an amuse bouche, then a liquor to finish. We had three courses, my asparagus started was divine. My partner enjoyed his beef tartare and both our pasta dishes were lovely. I had the pecorino platter, gorgeous and his chocolate torte was light and delicious too. We will be back. The staff were incredibly friendly & hospitable & we will forever remember their kind & generous spirit.